HETECH recently announced its partnership with contract electronics manufacturer Surface Technology International (STI). With its experience in the defence, military, aerospace, automotive, telecoms, medical, satellite and commercial sectors, STI will be providing high-volume manufacturing services for Hetech. 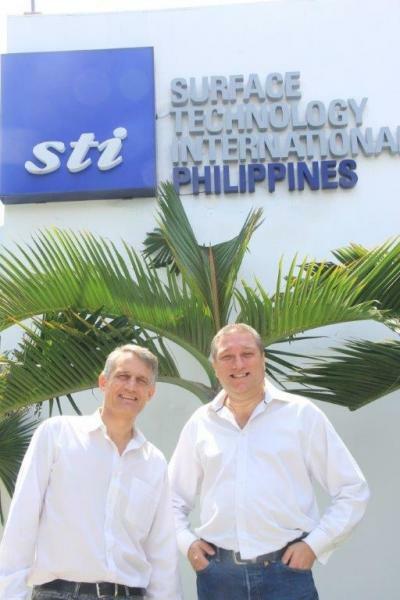 Hetech General Manager, Mark Steiner, recently travelled to STI’s manufacturing facility in the Philippines. “The Cebu facility is a mirror of the well-established UK (headquarters) operation in terms of quality, equipment and processes but is set up to offer high-volume manufacturing, operating 24/7,” he said. Managing Director of STI, Simon Best, commented on the partnership with Hetech, “In our global operational plan, this is an important link for STI in both the UK and Philippines”. If it’s high-volume manufacturing services you need, contact Hetech today! Phone Mark Steiner on 07 3297 9700 or email sales@hetech.com.au.